It was my dear cousin tele's birthday today and i thought the marshmallow cupcakes would be just right for a nine year old on her birthday. It wasn't the next recipe in the book but there are no strict rules so i skipped a few to get to this one. I got a pack of pink and white candles and it perfect. Baked vanilla cupcakes and made hollows in the centre for the melted marshmallows. 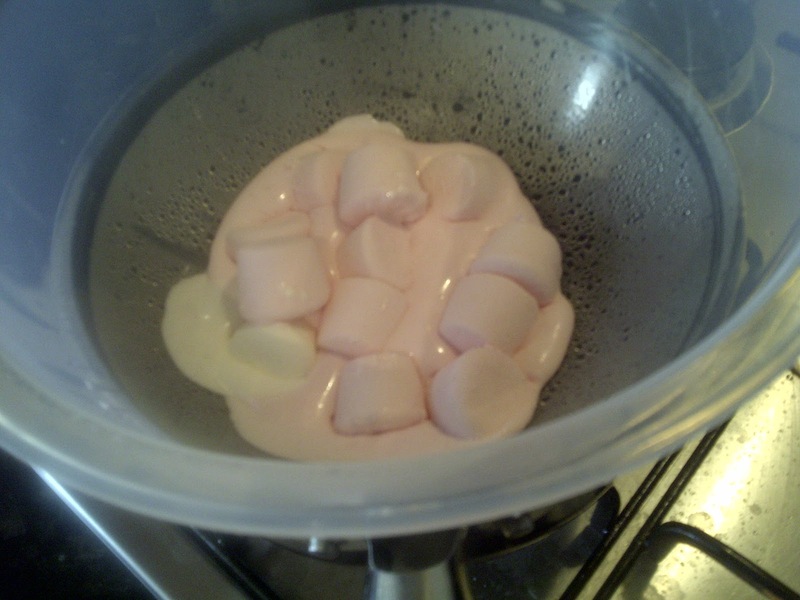 I put twelve medium marshmallows in a heatproof bowl over simmering water to melt. Once i started pouring it into the cake holes it was a bit messy because it got thick fast so i had to reheat it a few times. 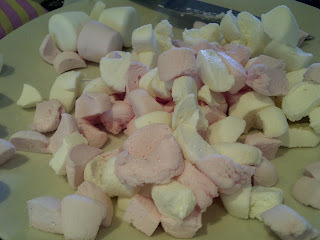 Then for the frosting i had to throw mini marshmallows into vanilla frosting. I thought i could get away with just cutting up the medium marshmallows into little bits but i forgot how sticky the inside of marshmallows were so it was not an easy task but it was done. Because of the bits of marshmallows, spreading this frosting on the cakes didn't go so smoothly. 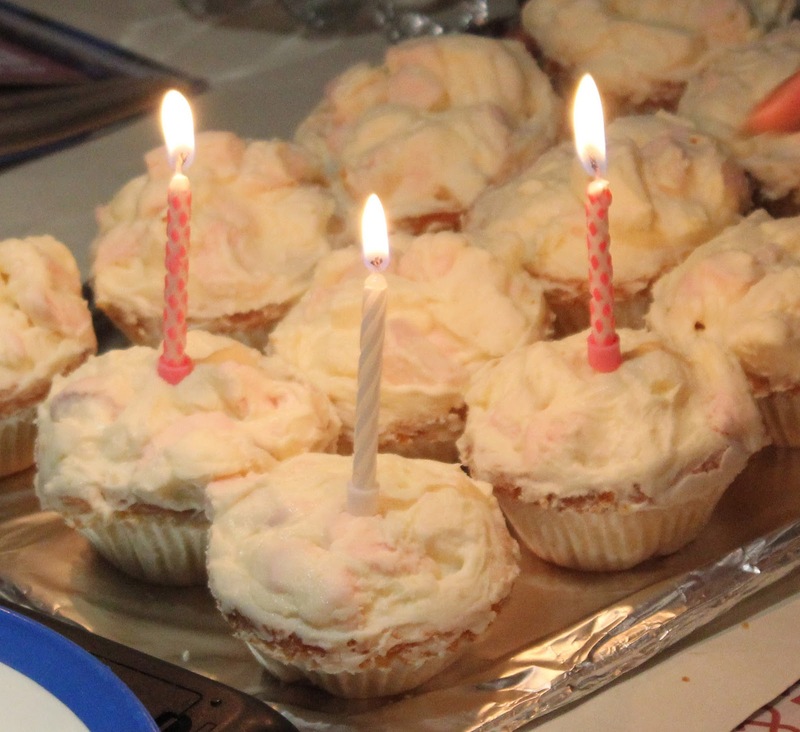 Wasn't so bad though, my only problem was getting just the frosting on the sides without the bits getting in the way. I've realized that when i'm filling the paper cases with the batter making them too full makes frosting harder because the sides that rise over the edge can easily fall apart. Why couldnt Tele wait until i came to have her birthday? KMT. anyway its yur own stress cus yur going to make all these things again when i come o. MUmmy is enjoying too much . Rubbish.